everything they need to design and deliver exceptional digital experiences. It empowers people to create beautiful and powerful images, videos, and apps, and transform how companies interact with customers across every screen. Adobe Creative Cloud, Document Cloud, and Experience Cloud bring together design expertise with customer intelligence to deliver experiences that get results. L&T Infotech (LTI) is an Adobe Solution Partner, Community level. We leverage our partnership with Adobe and our technical expertise in their solutions such as Adobe Experience Manager, Adobe Analytics, Adobe Campaign and Adobe Target, to provide our clients with insightful, actionable and personalized experiences in their Digital business. At LTI, we apply our deep industry knowledge and help our clients differentiate their marketing solutions by offering them innovative Digital experiences, aimed at translating their business objectives to profitable business outcomes. LTI is both an AWS Consulting Partner as well as an AWS Channel Partner. This alliance empowers LTI with capabilities that cover end to end lifecycle of AWS from strategy definition to support. With a dedicated Cloud Centre of Excellence, LTI strategically facilitates to migrate your complex workloads and applications to the Amazon Web Services (AWS) Cloud with zero downtime and no data loss. AWS practice is one of the fastest growing practices within the Cloud unit. LTI has a large number AWS certified Technical Architects who work with AWS to service 10+ clients currently across a number of service lines : SAP on AWS, IoT solutions on AWS, DRaaS on AWS and Analytics. This technical capability is present in NJ,USA; Nordics; London, India and various other geographic locations. Apigee, the leading provider of API technology and services, helps businesses use APIs to securely share data & services across devices and channels. The Apigee platform helps companies serve customers in a real-time, anywhere-anytime fashion, use data to continually improve customer experience, and drive additional revenue. LTI’s service level partnership with Apigee helps deliver an intelligent API platform to accelerate the pace of digital business. Appian provides a software development platform, which combines intelligent automation and enterprise low-code development, to deliver powerful business applications rapidly. Many of the world’s largest organizations use Appian applications to improve customer experience, achieve operational excellence, and simplify global risk and compliance. LTI has partnered with Appian as a value added service provider. Through this partnership, LTI provides innovative Business Process Management solutions to help organizations transform their business operations, resulting in reduced turnaround time, reduced cost of ownership, improved customer satisfaction, and increased operational efficiency. We apply our deep industry knowledge and help our clients succeed in their Digital transformation initiatives, aimed at translating business objectives to profitable business outcomes. Apttus is a leading Quote-to-Cash (QTC) software provider that has capabilities in configuration, pricing, quoting, contract creation, obligations management and revenue management. The technology is built on top of Salesforce.com platform and is widely adopted across Global 2000 companies. After a salesperson enters a potential customer into its CRM database, Apttus enables them to create an offer, develop a quote and contract and then collect cash from these customers. L&T Infotech is a certified Apttus partner and will work with clients in solving their needs for Configure-Price-Quote and Contract Lifecycle Management. Automation Anywhere is a cognitive RPA platform, designed for modern enterprises. Automation Anywhere applies Front-end Automation to every rule-based process, and Machine Learning to semi-structured processes that need expert decision-making. L&T Infotech partnership with Automation Anywhere helps transform the way business operates, resulting in reduced TAT, improved customer satisfaction, reduced cost of ownership and increased operational efficiency. In Calcabis we have come together to utilise artificial intelligence to solve organisational challenges of automatization, quality assurance and support of business-critical manual processes. Our ambition is to give organisations the optimal opportunities and utmost agility in one single efficient AI platform. We have succeeded at that and today we can offer a platform that handles a wide scope of manual tasks and encapsulates and cooperates with human knowledge and involvement. The Calcabis Virtual Expert Platform is based on multiple artificial intelligence components in order to automatize and streamline complex, often manual, tasks and processes. With a deep mapping and digitization of existing expert knowledge, processes and experience we build a virtual workforce for all relevant fields of work. In that way we add a layer of artificial intelligence to the methods that are the points of reference for your key employees today. camLine provides software solutions for manufacturing excellence in high-tech manufacturing industries. camLine’s industrial automation systems are based on MES modules of the product suite LineWorks, catering to high-volume productions. In addition, camLine customers also implement LineWorks as their Manufacturing Execution System (MES). For small and medium enterprises (SMEs), camLine offers all-in-one solutions that are built on InFrame Synapse. Numerous installations are carried out in the semiconductor, electronics, solar, and medical industries. These industry-specific deployments focus on advanced strategies to improve process quality and process security, executive manufacturing logistics, and manufacturing efficiency. camLine has been offering its software and services globally for more than 25 years. LTI is a global reseller, and systems integration &solutions partner with CamLine Gmbh. We will leverage our partnership, our domain and technical expertise in camLine solutions such as LineWorks Space (SPC), LineWorks RM (RMS), and LineWorks Pulse (MMS), to provide our clients with data-driven, real-time actionable insights, to improve their manufacturing processes. AT LTI, we apply our deep industry & domain competency, our experience and knowledge, to help our clients improve their processes, and gain the maximum ROI from their manufacturing IT assets. Chef is a market leader in DevOps, providing a platform solution to automate & manage software delivery and infrastructure. The company offers a model for automating IT infrastructure & applications, wh ich drive self-relianceacross the development and operations teams. Chef helps businesses becomes faster, safer and more flexible, to win in today‘s 24x7 digital economy. The company’s expanding partner ecosystem brings together leading technology companies, solution providers, distributors and resellers. L&T Infotech’s relationship with Chef helps us propel to the next generation of IT automation framework. This association will help our clients, who will be focused on using Chef, not only for high speed delivery and cost reduction, but to also remain competitive in the Digital and Business Transformation journey. Coupa is the leading provider of cloud-based Spend Management Applications, covering the entire Source to Pay (S2P) spectrum, primarily focu sing on Procurement, Expenses and Accounts Payable, the reby en abling organizations to amplify their spend power and reduce costs. Coupa has quickly surfaced as a leader of the pack in P2P solutions due its ab ility to offer the highest ROI and lowest Time to Value. L&T Infotech has partnered wi th Coupa to help organizations implement Coupa and generate sa vings that ensure bottom line growth. DELMIA APRISO is one of the major players on the premise of Global Manufacturing Software Platform, which offers visibility, management and synchronization of plant floor operations and related manufacturing processes, across a network of manufacturing plants. Apriso was acquired by Dassault Systems in July 2013 and is now a product portfolio within its DELMIA brand. LTI is a system integrator partner for Delmia Apriso. Dell Boomi is the market leader in providing Enterprise Integration Platform-as-a-Service (as recognized by Gartner Magic Quadrant). It helps organizations create end-to-end business processes by developing, managing, and rapidly deploying various types of integration flows across their best-of-breed cloud, on-premise & mobile applications, in a much faster and easier way. Dell Boomi empowers L&T Infotech, its System Integrator & Managed Serv ices Partner, to serve clients with advanced integration solutions on the Dell Boomi platform, to fully exploit the value of cloud. DocVentive is a provider of professional services and document automation solutions to the utilities, insurance, and financial services markets. An authority in content management and publishing, DocVentive has a proven track record of implementing mission-critical solutions and developing innovative products and cloud-based services for the U.S. Insurance market. As an Oracle Gold Partner, DocVentive also offers unparalleled services and solutions around the Oracle Documaker family of solutions, including Documaker Enterprise Edition. LTI has partnered with DocVentive to provide world-wide consulting services focused on Oracle Documaker family of solutions for the insurance industry. Duck Creek Technologies is a leading provider of comprehensive P&C insurance software and services for insurers of all sizes worldwide. Employing progressive technology, Duck Creek solutions enable insurers to optimize outcomes and enhance engagement through advanced digital and data capabilities, and integrated functionality that can be delivered via the cloud or on-premise. L&T Infotech partners with Duck Creek to further expand its strength & capabilities in the Insurance Core Product Implementation & Maintenance space, where Duck Creek is one of the leaders. LTI has partnered with Episerver to help organizations create unique digital experiences to customers, with measurable business results. Flexagon provides DevOps software and services which improve the speed, quality, and cost of software development and operations. Flexagon’s FlexDeploy is a market leading DevOps & Release Automation product which standardizes and automates software provisioning, build, deploy, and release processes. FlexDeploy includes pre-built plugins for Oracle Database, Fusion Middleware, E-Business Suite, Cloud, and many open-source & commercial technologies. As part of this partnership, LTI’s clients using Oracle Suite of products will have access to Flexagon’s market leading platform FlexDeploy, to deliver DevOps solutions that support strategic digital transformation. Hewlett-Packard (HP) is one of the premier IT Products & Services companies, spanning across various client requirements, from enterprise to retail. L&T Infotech‘ s relationship with HP gathered momentum when the two companies renewed their decade-long partnership i n 2014, covering both,’ sell to‘ and ’sell through’ business. L&T Infotec h has worked extensively with HP in India, across the areas of System Integration for Enterp rise Servers, Storage, Networking and End User Computing. We are an HP Level 2 Partner, and intend to extend this to advanced levels. L&T Infotech has a strategic alliance with IBM, having attained ‘Premier Level’ in the Partner Program, which enables joint marketing planning and special benefits. We leverage Certification programs offered by IBM, and have a large pool of certified architects & consultants in various IBM technology areas, including WebSphere, BPM, Business Intelligence, e-Commerce, etc. L&T Infotech has leveraged IBM partnership in key focus areas like Business Intelligence, Advanced Analytics and Machine Learning, and we have a very strategic partnership in the BPM space. We also leverage IBM partnership for Smart City and Smart World initiatives. Informatica is a leading Independent Software provider, focused on delivering transformative innovation for the future of all things data. LTI has a Premier Lever Partnership with Informatica since 2004, specializing in delivering enterprise solutions around Data Integration, Master Data Management and Information Lifecycle Management. LTI has multiple successful implementations, across on-premise and cloud-based solutions, on the Informatica platform. Our approach incorporates proven methodology around Enterprise Integration, Information Management and Analytics. We share a collaborative and innovative partnership, helping clients solve challenging problems around customer experiences & digital, analytics, cloud acceleration, application consolidation and data governance. We work with Informatica globally and specialize in developing business process frameworks to support enterprise-class technology solutions. This holistic approach leverages LTI deep domain expertise in Banking & Financial Services, Insurance, Healthcare, Energy, Manufacturing and Automotive sectors. Insurity specializes in Property & Casualty Software and Services. The company brings to the fore its deep Insurance industry experience and sophisticated technology expertise to envision, develop and deliver the most comprehensive core systems and data solutions. Insurity is devoted exclusively to commercial, personal and specialty lines of business and is headquartered in Hartford ("The Insurance City"), USA. LTI works closely with Insurity to u nderstand the unique and complex issues that carriers face every day. We put this holistic knowledge to work when supporting our clients in their complex business journey. K2 is an award winning business application software company. It transforms complex work into powerful business process applications, resulting in modern processes that quickly and easily connect people, data, decisions and systems. LTI has partnered with K2 as a service provider to help organizations with applications that are agile, scalable and reusable. As world leaders in integrating data from silos, MarkLogic’ s operational & transactional enterprise, NoSQL Database Platform, empowers customers to build next generation applications on a unified, 3600 view of their data. Headquartered in the Silicon Valley, MarkLogic has offices throughout U.S., Europe, Asia and Australia. LTI works with MarkLogic to offer innovative solutions, solve big data challenges and address gaps in legacy software. Leading companies across industry verticals are benefiting from MetricStream’ s simple, yet modular approach to GRC (Governance, Risk and Compliance). This is transforming risk management in a business environment that is increasingly mobile, social, global and virtual. 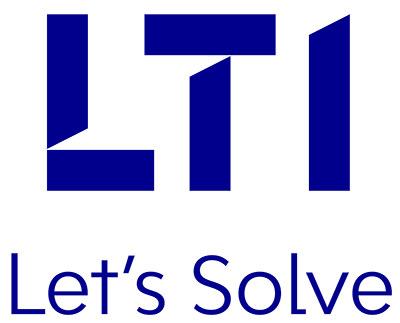 With MetricStream as partner, LTI offers a comprehensive GRC platform that works across Business, IT and Security functions and enables our clients throughout their GRC journey. L&T Infotech is a Microsoft Gold Certified Partner. We are also a Cloud Solution Provider (CSP) Partner with Microsoft. The Microsoft Center of Excellence (CoE) at L&T Infotech has been playing a crucial role in proliferating Microsoft technologies, thus emphasizing the robust business relationship between the two companies. L&T Infotech has established a relationship with Microsoft at multiple levels. We are one of the largest in-house adaptors of Microsoft Technologies. A large pool of Microsoft Certified Consultants & Techni cal Architects, with a wide domain experience, work closely with Microsoft to address Client Requirements & Business Challenges. MicroStrategy is a leading worldwide provider of Enterprise Software Platforms, providing the most flexible, powerful, scalable and user-friendly analytics & identity management platforms, offered either on-premise or in-cloud. L&T Infotech is a Global Consulting Partner for MicroStrategy. MicroStrategy’s BI platform allows companies to support all levels of BI initiatives, and helps them gradually consolidate islands of BI into a cohesive Enterprise BI Framework, thus enabling organizations to make informed decisions. It empowers organizatio ns to make sense of large data volumes, build beautiful data visualizations and ensure a single version of truth–at any scale, on any device. We leverage our partnership in areas like Data Discovery, Advanced Analytics, Big Data, Visualizations, Enterprise Reporting, Dashboarding, Embedded BI and Mobile BI. Google Cloud Platform’s innovative features help you quickly realize the cost, agility, and performance benefits of the cloud. Automatic sustained-use discounts, list price differences, and rightsizing recommendations can save you up to 60% on average when compared with many other cloud providers. LTI is Google Cloud Services and Technology Partners with focus on Infrastructure,Data &Analytics. Our 30+ GCP trained practitioners who have demonstrated experience and success in GCP projects align with your cloud journey to help modernize your infrastructure. We are enabling organizations to easily cloud-enable their existing DW and pipelines, adopt ML/AI in their analytics architecture and reduce storage costs by up to 10x through our Google Certified MOSAIC Decisions Analytics as a Service platform. MongoDB enables innovators to deploy applications as big as they can possibly dream of, by offering them the best of traditional databases, along with the flexibility, scale and performance that today’ s applications require. From startups to enterprises, for the modern and the mission-critical, MongoDB is the database for giant ideas. The alliance partnership between L&T Infotech & MongoDB has enabled us to collaborate together to create next generation digital solutions. The alliance has further facilitated L&T Infotech ’ s membership in the MongoDB Partner Advisory Council, a collaborative body composed of key MongoDB partners. This mutually beneficial ecosystem will enable L&T Infotech to work collaboratively with the partner community and help translate innovative ideas into attainable goals. Mulesoft is a global leader in providing Integration Platform-as-a-Service and API Management. Mulesoft’s Anypoint Platform is a leading solution, which enables organizations to rapidly build and scale a network of applications, data and devices, both on-premise and in the cloud, through APIs and integrations. With the Anypoint platform, organizations are reimagining their business with digital. LTI has signed a global partnership with Mulesoft, to help our clients with industry-agnostic & comprehensive integration solutions, in areas of iPaaS and Hybrid Cloud Integration. LTI has developed an accelerator - M2M - M(any) to MuleSoft, which migrates legacy integration solutions & interfaces built on IBM, TIBCO, BizTalk, etc., to Mulesoft, seamlessly. Newgen is a global provider of Business Process Management (BPM), Enterprise Content Management (ECM), and Customer Communication Management (CCM) solutions, with a footprint in over 60 countries. It deploys large, mission-critical solutions for banks, government organizations, BPOs & IT companies, insurance firms, and healthcare organizations. Newgen’s innovative technologies and solutions allow organizations to drive smarter business decisions, and achieve greater agility, accuracy and efficiency in transforming processes, managing information, enhancing overall customer satisfaction, and driving enterprise profitability. Newgen has been positioned as a Leader in Dynamic Case Management, Digital Process Automation and Enterprise Content Management by Forrester in their WaveTM Reports. LTI is Newgen’s Global System Integration partner. Through this partnership, LTI & Newgen help clients achieve enterprise-wide digital transformation objectives across industries. LTI provides clients with Business Process Management solutions based on Newgen’s OmniFlow iBPS platform, Enterprise Content Management solutions based on Newgen’s OmniDocs Platform, and Enterprise Scanning solutions based on Newgen’s OmniScan. Nutanix makes infrastructure invisible, elevating IT to focus on applications & services that power the client’s business. The Nutanix Enterprise Cloud Platform leverages web-scale engineering and consumer-grade design, to natively converge compute, virtualize and store into a resilient, software-defined solution with rich machine intelligence. The result is predictable performance, cloud-like infrastructure consumption, robust security, and seamless application mobility, for a broad range of enterprise applications. Nutanix is a market leader in Hyper-Converged Infrastructure and L&T Infotech has signed a Global Alliance relationship with the company. Through this partnership, we help our clients virtualize their Data Center, by providing end-to-end Enterprise Cloud Environment with Nutanix’s technology, which saves a significant amount of cost, as well as the resources managing the client’s infrastructure. Oracle Corporation is an American multinational computer technology corporation, headquartered in Redwood City, California. LTI is a Platinum Partner, and this alliance empowers us with exceptional resources to distinguish our offerings from the competition, seize opportunities and grow our business. LTI and Oracle Corporation, through their decade-long partnership, have been working together to deliver value to clients. The relationship has grown stronger through Oracle’s fully integrated stack of on premise / cloud applications, platform services and engineered systems, combined with LTI high performing customer-centric engagements and innovative solutions with deep industry domain experience. Together, the two companies deliver integration expertise that enable customers to strategically grow their business, sustain business outcomes and maximize their ROI. LTI is a global system integrator with OSIsoft and holds both PI System Infrastructure Accreditation and PI System Installation Accreditation. Pegasystems develops strategic applications for marketing, sales, service, and operations. Pega‘s applications streamline critical business operations, connect enterprises to their customers seamlessly in real-time across channels, and adapt to meet rapidly changing requirements. Pega’s Global 3000 customers include many of the world‘s most sophisticated and successful enterprises. Pega’ s applications, available in the cloud or on-premises, are built on its unified Pega 7 platform, which uses visual tools to easily extend and change applications to meet clients strategic business needs. LTI is a Pega Registered Business Partner and engages with clients on Digital Transformation initiatives across industries. L&T Infotech provides clients with business process management solutions based on the Pega 7 platform and robotic automation solutions based on Pega’s OpenSpan platform. Pivotal‘s Cloud Native Platform drives software innovation for many of the world’s most admired brands. With millions of developers across many communities around the world, Pivotal technology touches billions of users every day. After shaping the software development culture in Silicon Valley’ s most valuable companies for over a decade, today Pivotal leads a global technology movement transforming how the world builds software. LTI has partnered with Pivotal Cloud Foundry to help our Global Fortune 1000 clients systematically move to a super agile cloud native application development on a factory model, making them compete effectively in the Digital world and lead with Innovation. PROS is a leader in Pricing & Revenue Management business landscape. PROS Revenue & Profit Realization Solutions deliver the perfect blend of simplicity and data science to offer a holistic approach towards improving revenue & profit performance, and aligning product, demand & availability with exceptional clarity. These cloud-based solutions leverage prescriptive analytics to accelerate the process of converting prospects into customers, using proven science-based decision-making technology. LTI is a 360o partner for PROS implementation. PTC’s leading industrial innovation platform and field-proven solutions and services, help companies design, manufacture, operate, and service things for a smart, connected world. With PTC, global manufacturers along with an ecosystem of partners and developers can capitalize on the physical / digital convergence today and drive the future with innovation through Internet of Things (IoT), augmented reality (AR), digital twin and Industry 4.0. LTI is a global strategic partner with PTC & sells value added services around PTC solutions. LTI-PTC IoT Centre of Excellence: The LTI-PTC COE based in Bangalore , India focuses on Internet of Things (IoT)-based innovations for Industry 4.0 solutions. TI will leverage the CoE to design, build and showcase solutions for smart, connected enterprises, from proof-of-concept to industrialized deployments. The CoE will showcase the possibilities of transformative technologies to global customers, featuring Industrial IoT solutions developed on PTC’s ThingWorx® platform. Qlik is a leader in the Visual Analytics market. It delivers intuitive platform solutions for Self-service Data Visualization, Guided Analytics Applications, Embedded Analytics and Reporting. L&T Infotech has a System Integration Partnership with Qlik since 2011. We currently leverage Qlik solutions like Qlik Sense, QlikView, QlikView NPrinting, Qlik Analytics Platform and Qlik Data Market. We have developed s everal innovative implementations across domains using Qlik, like intuitive and enhanced visualizations by integrating QlikView and d3, and building reports embedded with Predictive Analytics by having Qlik and R Integration. We also leverage the partnership with Qlik for conducting internal training, building domain-specific solutions/ accelerators, developing competencies, certifying resources and formulating joint GTM strategies. Red Hat is the world’ s leading provider of Open Source Solution. The company helps more than 90% of Fortune 500 companies solve their business challenges, align IT & business strategies, and prepare for the future of technology. Red Hat does this by providing secure solutions through an open business model, and an affordable & predictable subscription model. LTI works with Red Hat to offer innovative solutions in the Open Source area, based on business requirements. As an SI (System Integrator) player, we aim to include Red Hat-based products in our solutions & proposals, wherever it best suits our client requirements. Red Hat also helps LTI with a host of technical trainings, thus fueling our overall capability enhancement program. SAP is the market leader in Enterprise Application Software. L&T Infotech‘s industry expertise and market leading tools & frameworks, combined with SAP’s technology innovations, helps customers realize business value and strong ROI from their SAP investments. L&T Infotech works closely with SAP in areas of innovation and product development to deliver business value to customers. The L&T Group was SAP’ s first customer in the APAC region and has been using SAP across most of its divisions since 1992. This 360o relationship wit h SAP is unique, and positions us well to design, implement and evolve the SAP landscape. L&T Infotech is both, a PartnerEdge Services Partner and a PartnerEdge Value Added Reseller of SAP. SAS is a leader in Analytics, through innovative analytics, business intelligence and data management software & services. SAS helps companies make better business decisions at a faster rate. L&T Infotech is an Affiliate Partner of SAS. We leverage our partnership in areas like Data Management, BI and Advanced Analytics. We leverage the certification programs offered by SAS, and have a large pool of certified architects & consultants in various SAS technology areas, including SAS Data Management, SAS Analytics, SAS Customer Intelligence 360, SAS Enterprise Miner and SAS Visual Analytics. LTI is a global Wonderware System Integrator and Specialist Solutions provider. LTI has deep integration expertise in Manufacturing Management Systems, Operations & Maintenance, Process Controls, SCADA and software application & development. As an enterprise cloud company, ServiceNow provides a service model that defines, structures & automates the flow of work by removing emails & spreadsheets from processes to streamline the delivery of services. ServiceNow is changing the way people work. By placing a service oriented lens on activities, tasks & processes that make up day to day work life, the company helps modern enterprises operate faster and be more scalable than ever before. LTI has a strong Partnership Program with ServiceNow, which enables us to modernize IT, leading to transformation & innovation of the organization. The partnership helps leverage pre & post sales technical support, and availability of demo/trial software for testing in the Center of Excellence (CoE) lab environment. The ServiceNow CoE within our Enterprise Service Management (ESM) practice extends a comprehensive suite of ServiceNow services, including new implementations & upgrades, migrations from existing/legacy tools, consolidation across business/IT divisions and extension of ServiceNow beyond IT functions. Siemens PLM Software helps companies of all sizes transform their business and develop innovative products and services. Siemens solutions help optimize their processes from planning and development through manufacturing and lifecycle support to realize innovation. LTI is a System Integration partner with Siemens. LTI leverages Siemens PLM software for Manufacturing Operations Management for manufacturing software solutions. The alliance is for a set of focus industries like Automotive & Aerospace, Utilities & Consumer and Hi-Tech in the EMEA region. Salesforce is the world‘s leading Enterprise Cloud Ecosystem, and world’s #1 CRM Company. Industries and companies of all sizes can connect to their customers using Salesforce’ s latest innovations in cloud, social, mobile and data science technologies across sales, customer service, marketing, communities, analytics, apps, and more. LTI has partnered with Salesforce to help organizations implement Sales Cloud, Service Cloud, Marketing Cloud, Internet of Things Cloud, Force.com, Communities, App Cloud, Force.com, Wave Analytics and more. Tableau is a leading Software company, which produces a family of Interactive Data Visualization products, focused on Business Intelligence. LTI has Standard Consulting and Implementation Partnership with Tableau. We leverage the partnership in areas of Data Visualization, with additional features like Big Data Live or In-memory, Governance & Sharing, Data Blending and other upcoming innovations. We also work on Cloud Analytics, with features like Data Management and Embedded Analytics. Some of our implementations using Tableau include design & development of interactive dashboards, scorecards on desktops & mobile devices, integration with Microsoft Office and other BI tools & third-party applications, upgrades & migrations. Teradata Corporation is the world’ s largest company, solely focused on raising intelligence and achieving enterprise agility through its database software, enterprise data warehousing, big data & analytics and marketing appliances, factors that enable companies in becoming data-driven businesses. L&T Infotech has a Consulting & System Integration Partnership with Teradata. We have several successful implementations - End-to-End Data Warehousing, Platform Competency Center Development, Data Mart Refactoring, among others. We leverage our partnership to access the Teradata licenses for setting up CoEs, conducting internal trainings, building domain-specific solutions/ accelerators, developing competencies, certifying resources a nd formulating joint GTM strategies. TIBCO is a global leader in providing integration, analytics and events processing software for companies to use on premise or as part of their cloud computing environments. L&T Infotech is a Global Consulting Partner for TIBCO, with more than 10 years of strong relationship. We have expertise and proven experience across the TIBCO product stack. We also leverage TIBCO for solution-driven innovation, in areas like iPaaS, Hybrid Cloud Integration, Complex Event Processing, BPM and B2B. UiPath is a leading Robotic Process Automation platform that helps organizations efficiently automate business processes. 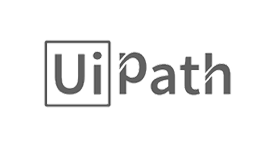 LTI partners with UiPath to help our clients, automate their operations, aiming for transformed business models and superior customer experience. ValGenesis has been helping the Life Sciences companies to bring products to market quickly, safely and efficiently. The company delivers an integrated validation lifecycle management software solution that enables data integrity, good document practices, consistency, control an d transparency across the entire organization. With ValGenesis as a partner, L&T Infotech offers a comprehensive Computer System Validation platform, which works across all functions in the Life Sciences industry. This platform enables our clients to adhere to the FDA mandates effectively & efficiently. Unvired is an Enterprise Mobility, Bots and Messaging Company. It brings together decad es of experience building enterprise solutions (SAP, Oracle & IBM) that customers are using across the globe. Headquartered in Houston, Texas, Unvired reinvents productivity solutions, enterprise communication and machine communication to transform the way people interact with enterprise systems. Virtustream, a Dell Technologies Business, is the enterprise-class cloud service and software provider trusted by enterprises worldwide to migrate and run their mission-critical applications in the cloud and were one of the first companies to be certified to run SAP and SAP for HANA on the cloud. L&T Infotech has a global strategic partner relationship with Virtustream to help our Enterprise clients move with confidence some of their mission critical applications such as SAP into the cloud infrastructure. ‘’WorkFusion’s Intelligent Automation empowers enterprise operations to digitize. WorkFusion combines robotic process automation (RPA), AI-powered cognitive automation, workflow, intelligent conversational agents, crowdsourcing and analytics into enterprise-grade products purpose-built for operations professionals. These capabilities let enterprise leaders digitize their operation, exponentially increasing productivity and improving service delivery. Workplace by facebook is the enterprise collaboration platform launched by the world’s largest social networking company, facebook. The workplace is about more than just communicating between desks within the walls of an office. People work in different ways, around the world, and Workplace’s mission is to help them stay connected. This platform has around 30,000 clients spanning across verticals, using its services in 77 languages. LTI is a Global Service Partner of workplace, and assists clients in purchasing, deploying and running workplace at their respective organizations. We also provide consulting services in the areas of use case identification, internal communications, IT integrations and change management, to ensure a high initial adoption and continuous engagement. Being one of the early adopters of this platform, we bring our own experience to the table, to help our clients benefit the most out of workplace. Xamarin is a leading platform provider for mobile app development. They enable businesses to reach all major devices -iOS,Android,Mac and Windows -with native apps from a single codebase. Xamarin also provides automated testing that helps ship apps faster and DevOps on apps for reliability. They have over 350 employees, 15000 customers and 1,400,000 developers globally. LTI is an Elite level Xamarin Partner, with the highest level of Xamarin expertise and certified Xamarin professionals. Together we have built a number of Mobility Solutions as well as undertaken anumber of efforts in building capability and joint successes.